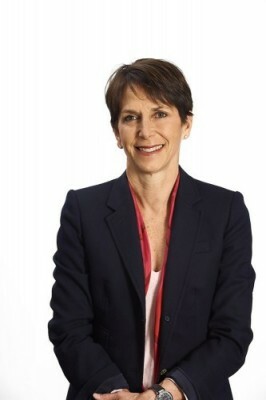 Jayne Hrdlicka is CEO Qantas Loyalty and Digital Ventures. She was Jetstar Group CEO from July 2012 to October 2017. She joined the Qantas Group in August 2010 as Group Executive Strategy and Information Technology. Member of the Scotch College Council in Melbourne. Jayne is a former senior partner with Bain & Company in the firm’s Customer Strategy and Marketing Practice and led Bain’s Customer Practice for the Asia region. She was also an inaugural member of Bain’s Global Women’s Leadership Council. Early in her career, Jayne left consulting and spent six years as an executive and was subsequently a CEO of two publishing and marketing related businesses. She later returned to Bain as a senior leader in the Australian practice. "Level the playing field: A call for action on gender parity in Australia"
"What stops women from reaching the top? Confronting the tough issues"
Jayne is also a member of Chief Executive Women, an invitation-only organisation that represents Australia's most senior women leaders from the corporate, public service, academic and not-for-profit sectors. It has more than 300 members whose shared vision is "women leaders enabling women leaders". Jayne holds an MBA from Dartmouth College, New Hampshire USA and a Bachelor of Arts degree in Mathematics and Economics from the Colorado College, Colorado USA. Jayne lives in Melbourne, Australia with her husband and two young sons. She enjoys playing tennis, skiing, and hiking with her family.